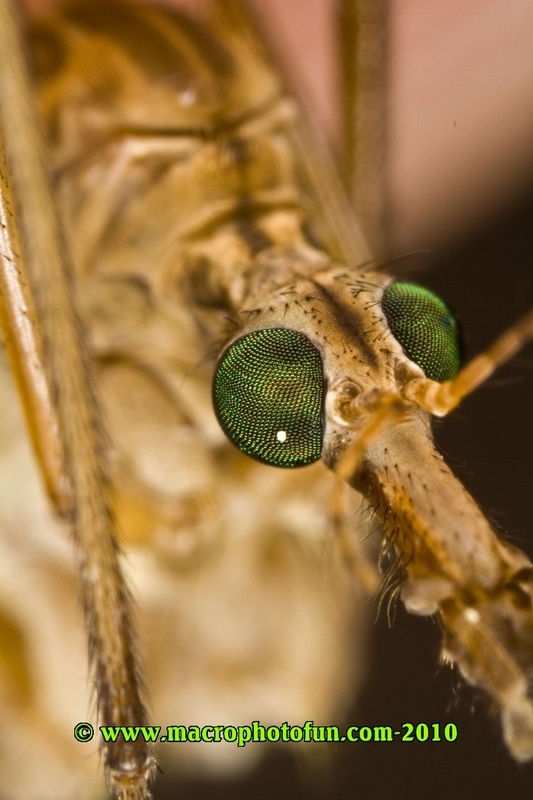 Crane flies look like giant mosquitoes, but they are not related. In their adult stage, these insects do not bite, sting, or eat, and they live for about two weeks. They get their nutrition during the larval stage, they eat plant roots and other vegetation. They are usually seen on the lawn or other plants in the morning, because that is where they lay their eggs. At night they are attracted to light.